Inner Energy Health and Wellness - Campbell River MassageInner Energy Campbell River Massage | Health, Wellness, Massage in beautiful Campbell River BC. 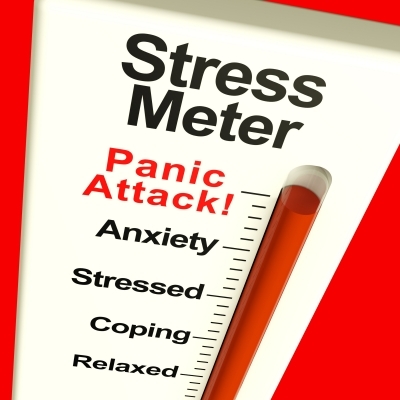 How do you rate on the stress meter? Stress is an indication of your overall health. Most of us feel like we are managing the best we can, trying to eat right, exercise and stay balanced in our body, work and social life. Yet if we look closer at the tell tale signs such as premature aging, fatigue, chronic pain, illness and tension in our relationships we notice our quality of life can sometimes be less than we’d hoped it would be. With today’s busy lifestyle, it becomes a challenge to take care of everything and everyone else in your life, never mind yourself. My mission is to support and nurture you in your journey to radiant health. I will help you take better care of your body, mind and spirit and bring you into total balance and well-being. Once your body, mind and spirit come into balance, you’ll be less likely to become anxious in stressful situations and more likely to feel energized and calm in all areas of your life. Are you ready for a total health solution? No matter what state of health and well being you are at now, let me help you be your healthiest and most well-balanced. Inner Energy Health and Wellness in Campbell River provides all of your holistic health and wellness needs including Massage, Reflexology, Energy Balancing and Meditation, Acupressure, Hot Stone Massage, and Emotional Support and Healing, as well as many other Spa Facials or for extra added support try our Total Wellness Package. All treatments, including massage, are non-sexual in nature. My services do not replace medical care or advice. Please see your Medical or Naturopathic Physician when in doubt. All gift cards and packages are valid for one year from date of purchase. "The environment is soothing, the massages are relaxing and Sara is very personable. The best massage/healing experiences I've ever had. Four months of nerve pain throughout my body had kept me from going to work. These medically unexplainable pains disappeared shortly after one energy session. I was skeptical at first about "energy work" but during the first session I noticed Sara would move to the aggravated areas on my body without me having to mention it. It was an eye opening experience and I would encourage anyone with an open mind to try it out. I always feel exhausted but so very deeply relaxed after an energy session." "Sara's energy work was amazing. I have a long term problem in my neck which makes sleep and daily life difficult but after one session, I was pain free for almost 3 weeks! I've seen quite a few massage therapists and she was by far the best. Great gal too! :)"
"I have serious arthritis in my knee which has been much worse since surgery, I was amazed at the immediate decrease in pain, swelling and range of motion after a one hour session with Sara! She is truly gifted at her craft and very knowledgable in pressure points. I have had many medical treatments and medications that have not had this kind of bennifit. I am not cured and never will be however I am impressed at the relief one treatment has shown. "Sara is a superb natural healer. She has excellent massage skills and other interesting healing attributes. I have been going to Sara for four years and have always been pleased with my results. Her Wellness Programme got me started on proper eating habits and healthier living exercises. 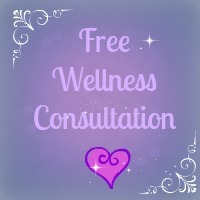 She is well worth consulting if you are in pain...or need a massage ...or advice. " "I’m quite happy with the experience of, and the progress from, the sessions with Sara. In fact, I am still trying to process that my neck has been pretty much pain free and limber since that first visit. It really is a remarkable difference, considering how many years it has been painful and how many different treatments I have tried. I’ve enjoyed relaxation from previous treatments & massages, but never any appreciable pain relief or increase in mobility. Frankly I’m amazed, even if, a little confused. I suppose it’s an analytical fault in me, but I somehow feel the need to process & rationalize the unknown. On Friday I reached a level of relaxation (consciousness, if you will) that I have only ever come close to, during past meditations, some time ago. Hey... I may not understand it all, but I’ll take it! ".